Protected from the noise of cars and humans. All you can hear are the birds singing and the sound of the wind. 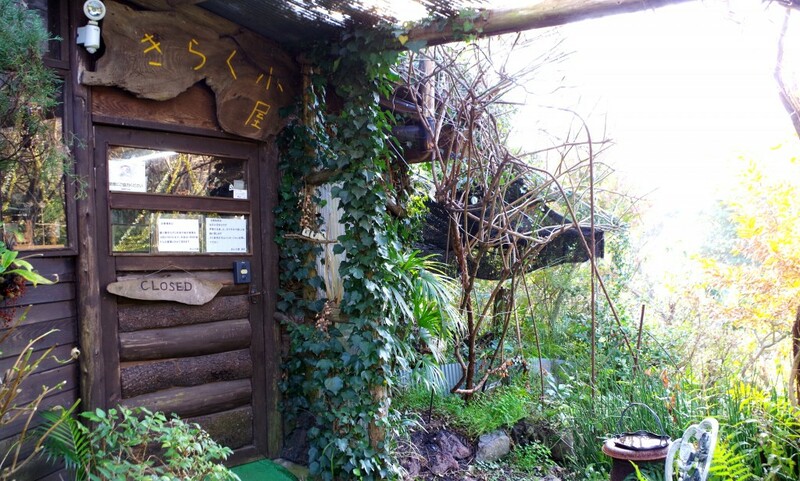 About 10 minutes away by car from Motomachi Port of Izu Oshima Island and down a path beside Oshima High School by the sea, is Kirakugoya, a completely self-built cafe enveloped by human warmth and the trees of Oshima. The cafe is located in a 3,300 square meter environment filled with nature where you can enjoy a tranquil time. 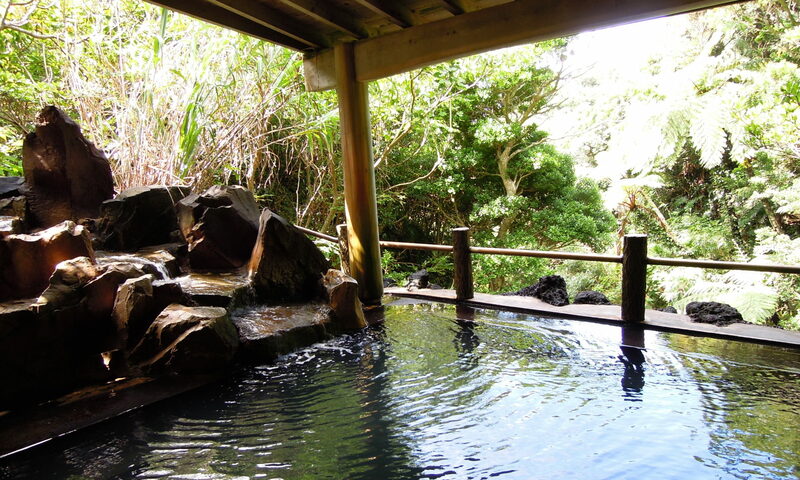 Here you can also savor the nature’s bounty such as silkies, loquats and blueberries. 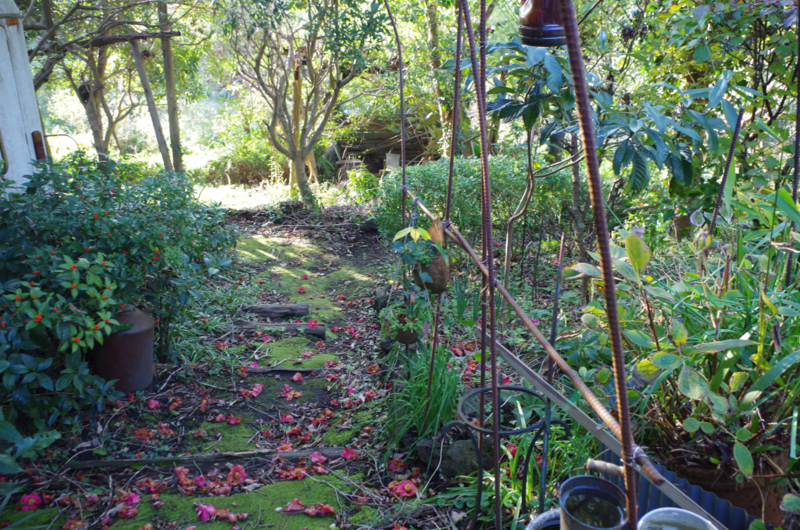 The paths in the premises are lined by blooming flowers that change with the season and offer a place of healing where you can hear the songs of birds. The popular menu uses ingredients of Oshima. You can enjoy the flavors of nature with the dishes such as ashitaba fried rice that uses Oshima’s ashitaba, and the pizza and spaghetti that use iwanori. They also have fresh juice and other menus popular not only with adults but with small children, and is a popular place for families. 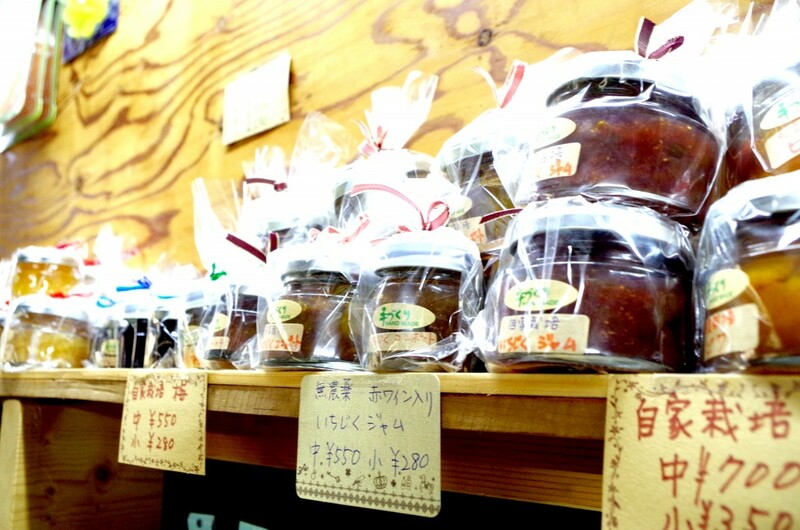 You can also buy fresh jams made from fruits picked in the garden as souvenirs. Ashitaba, banana, milk, carrot, apple, etc.